Get ready to test your general knowledge and music knowledge at an exciting table quiz coming up in Portlaoise. The Laois School of Music is hosting a table quiz this Thursday night, March 28 with great raffle prizes. The quiz is to raise funds for future trips and activities for the Youth Orchestra and all are welcome to attend. It promises to be a very entertaining evening with some audio Pop Quiz and TV Theme Tune rounds along with the usual table quiz. There will be special guest performances from local singer-songwriter James O'Connor and some of the young musicians in Laois School of Music and Music Generation Laois. Entry to the quiz is €40 for a table of four, it takes place in O'Loughlin's Hotel at 7 pm. 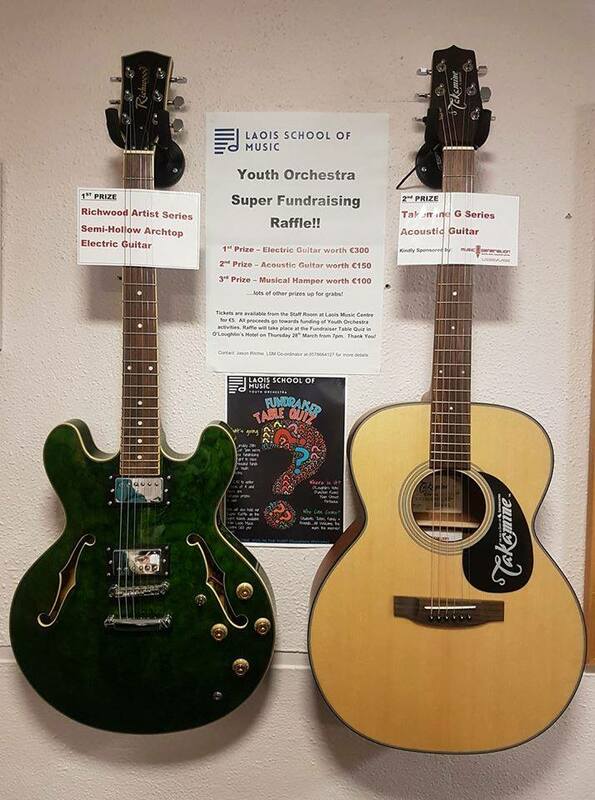 There will be a raffle on the night for some amazing prizes including a Richwood Artist Series Semi-Hollow Archtop Electric Guitar in Emerald Green worth €300, a Takamine G Series Acoustic Guitar worth €150 – kindly donated by Music Generation Laois and a third prize of a musical hamper worth €100 up for grabs.